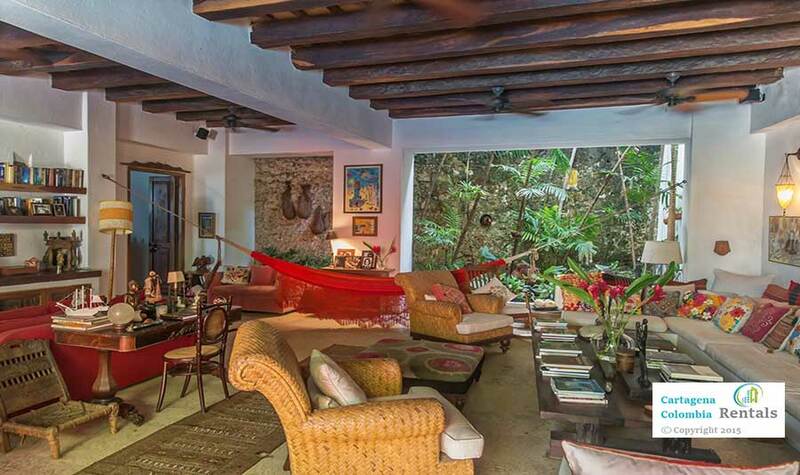 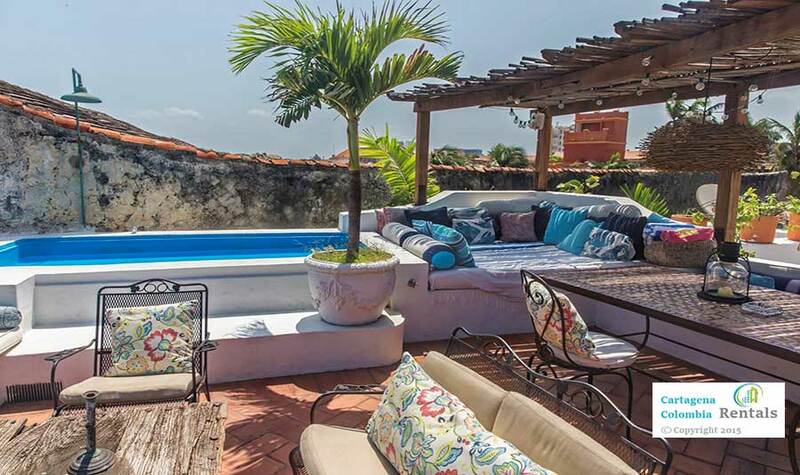 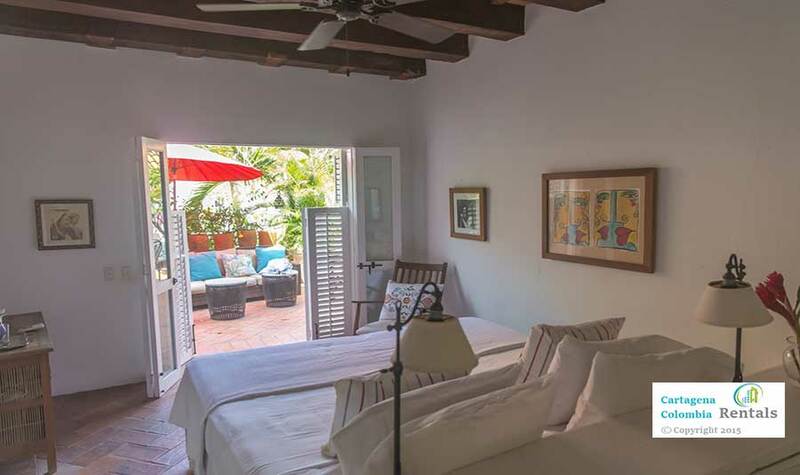 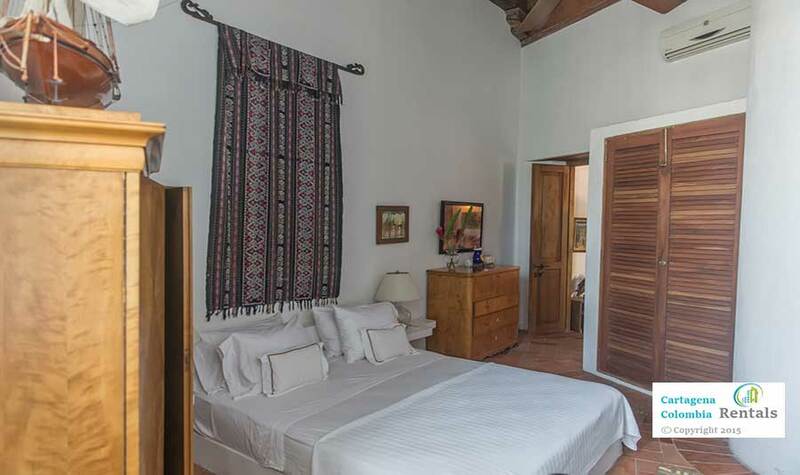 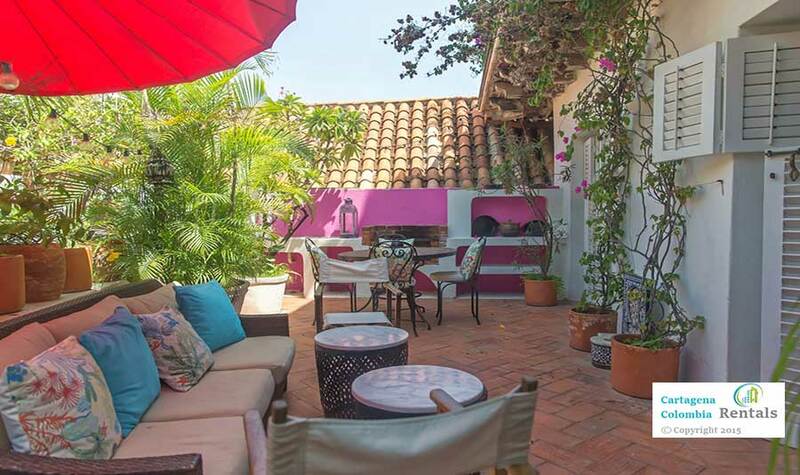 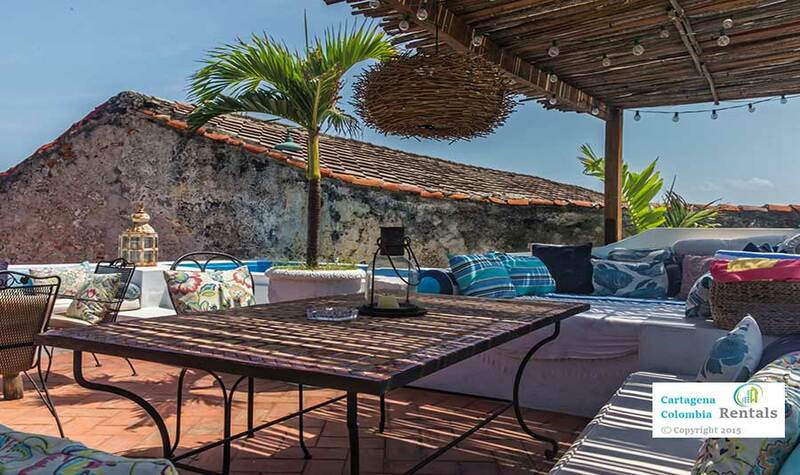 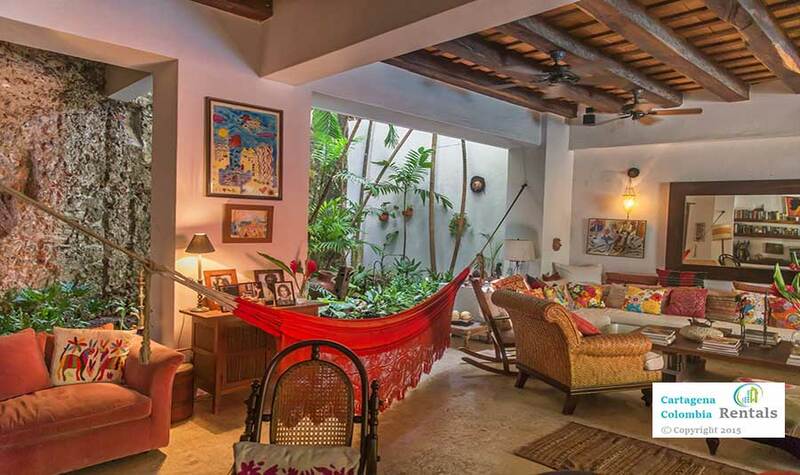 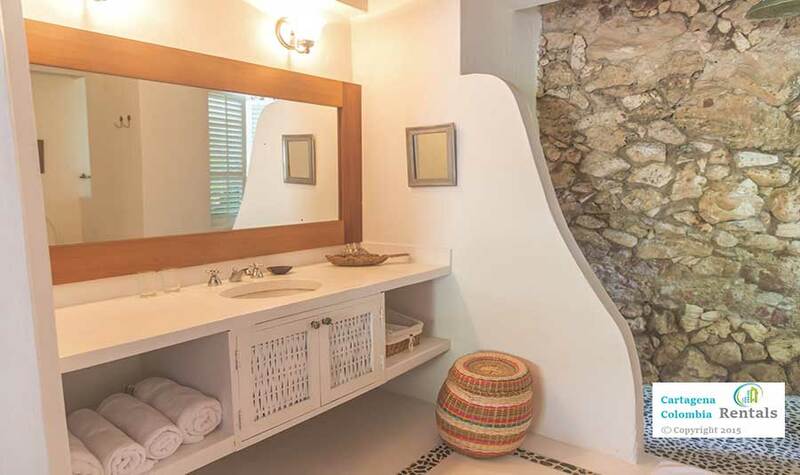 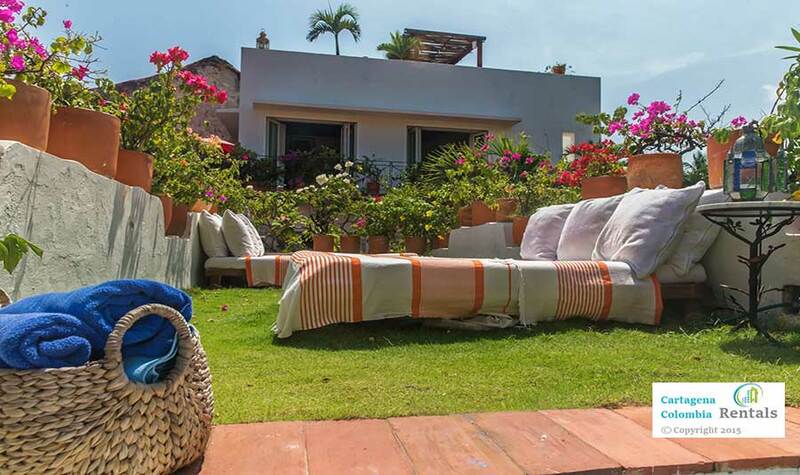 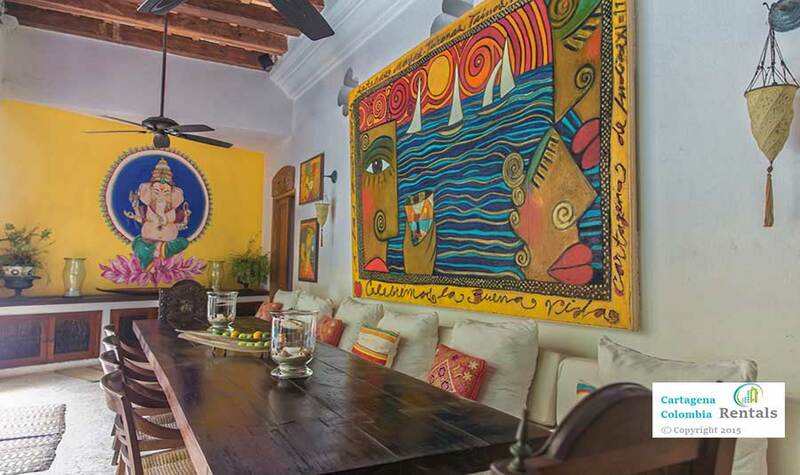 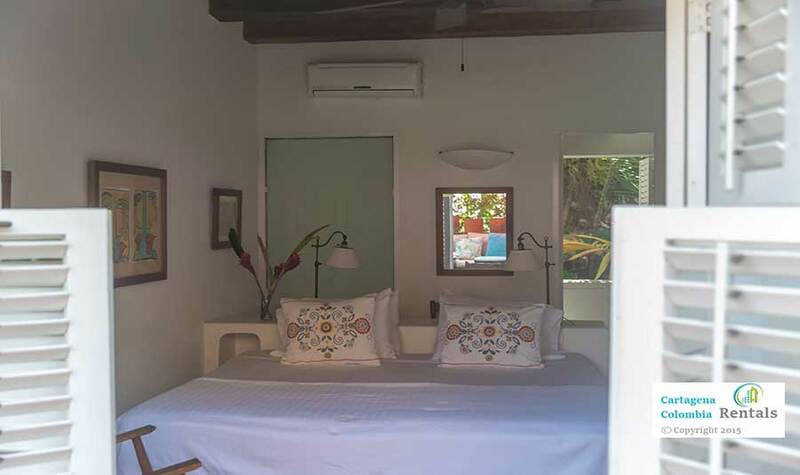 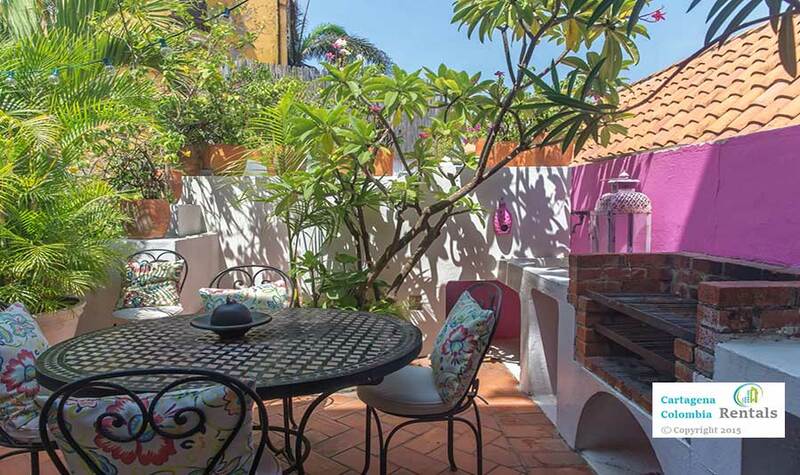 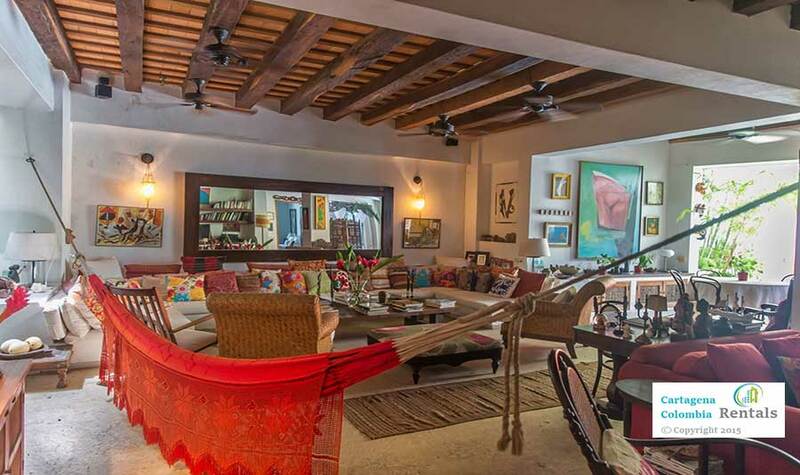 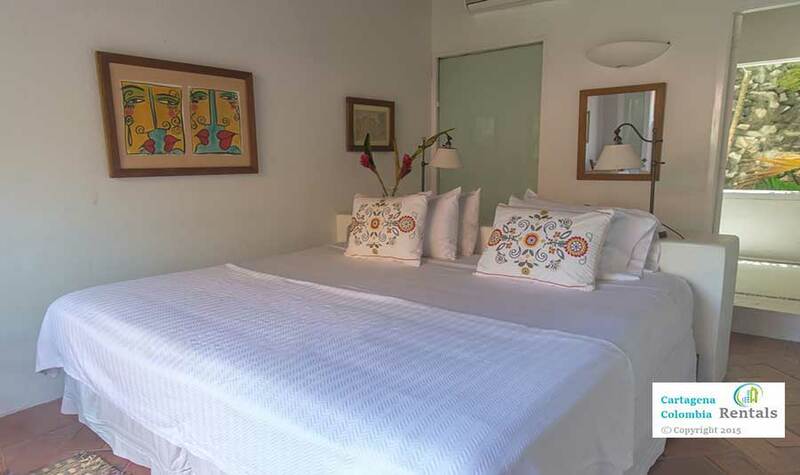 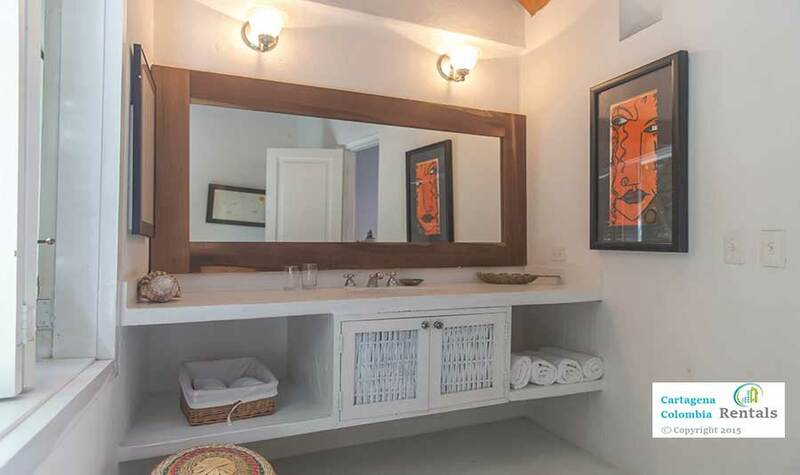 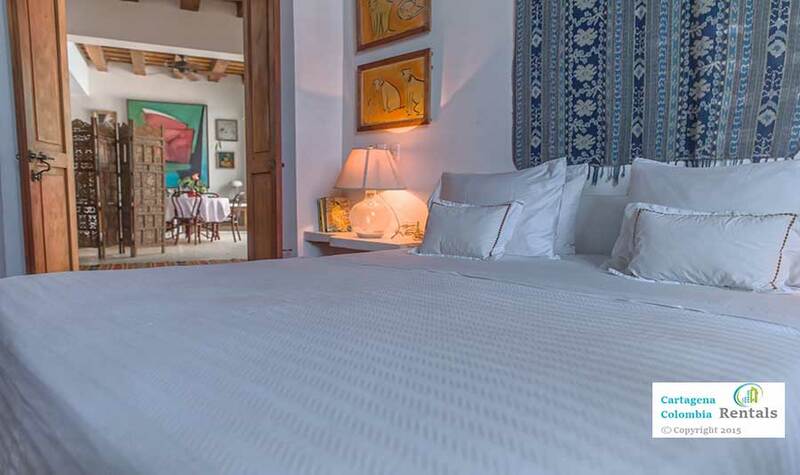 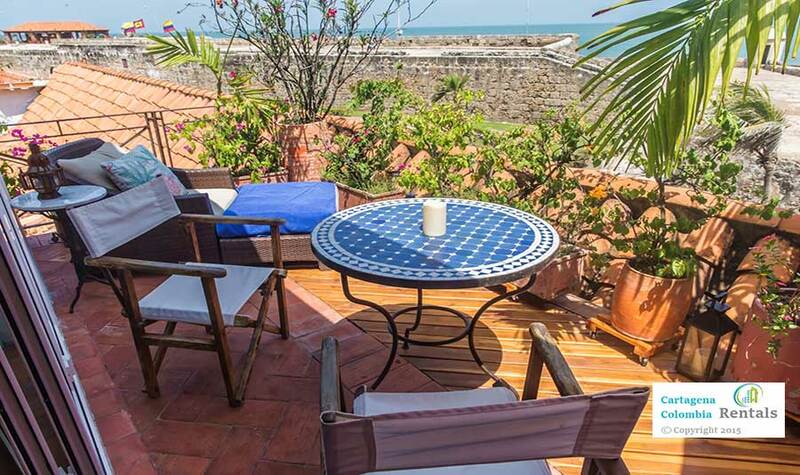 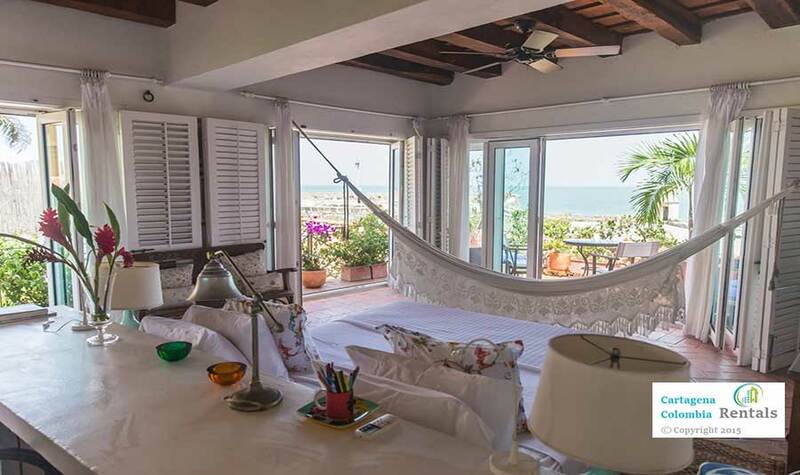 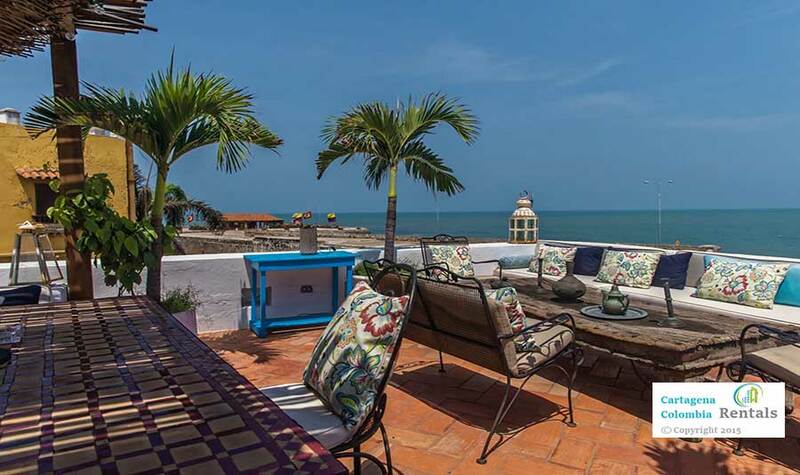 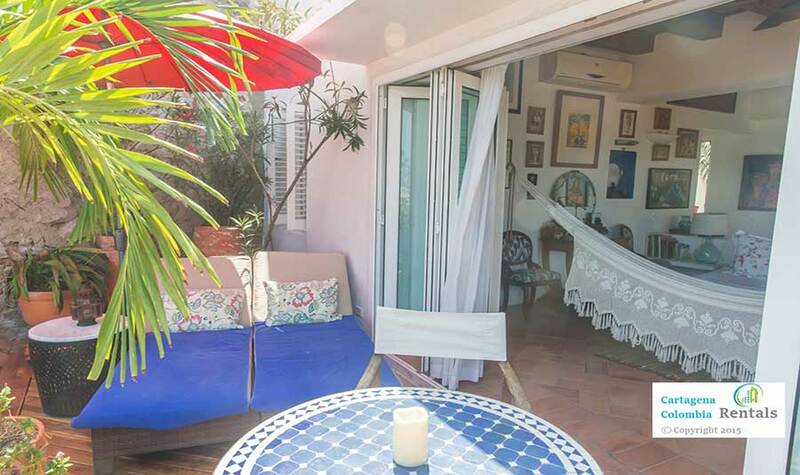 Casa Brisa is a breathtaking home rental built in the 16th Century within the Ancient Walls of Cartagena de Indias. 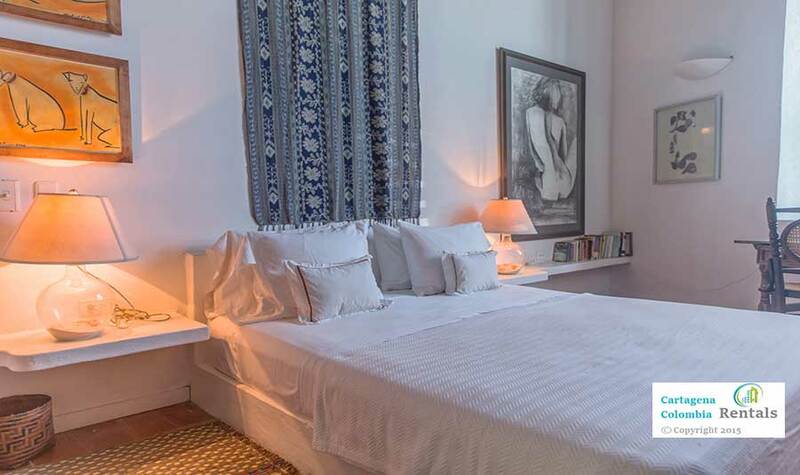 This magnificent home has 5 spacious bedrooms all with en-suite bathrooms; 2 on the first floor, 2 on the second floor and a master open space bedroom on the third floor. 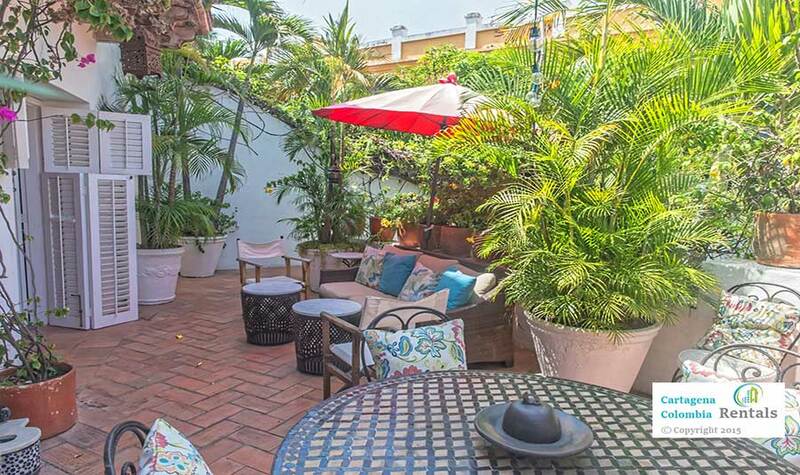 The entire home is surrounded by gardens and open air areas where a group of family and friends can enjoy each other’s company or keep to themselves enjoying the different seating areas. 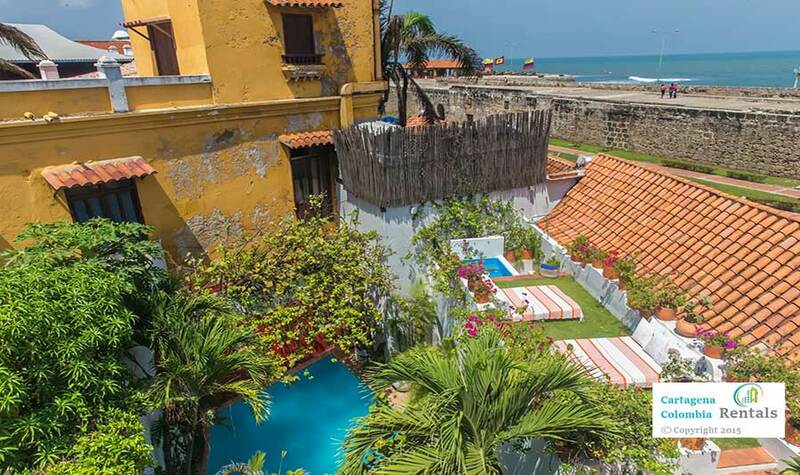 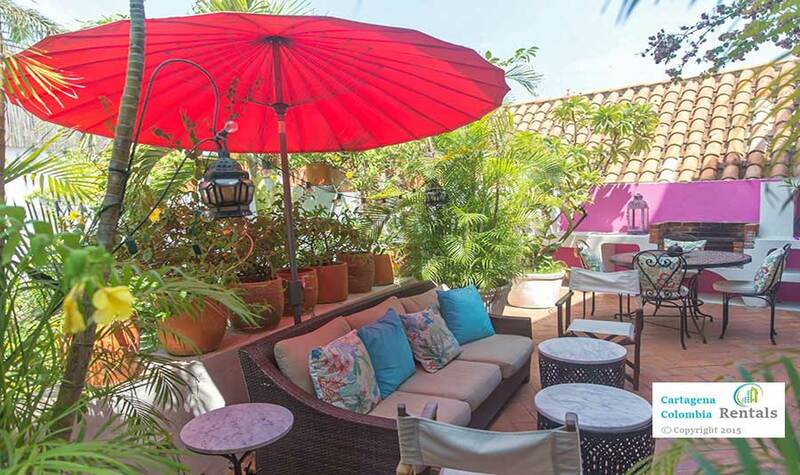 Dine around the 10 seated majestic dining room or under the stars on one of the romantic terraces in Cartagena. 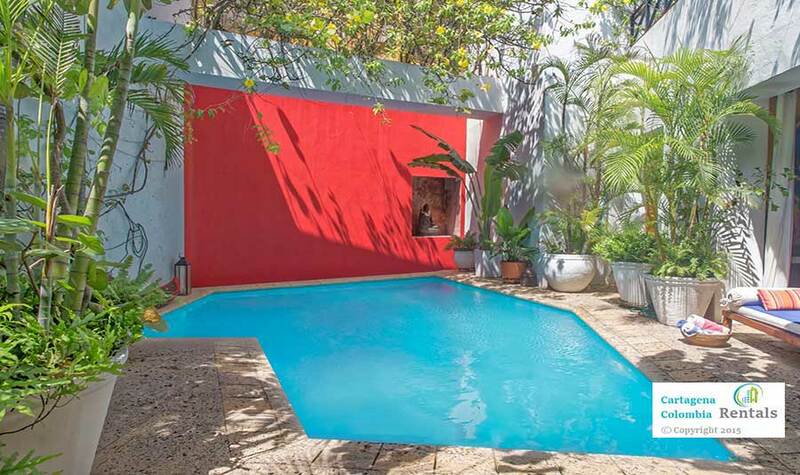 Casa Brisa has a large swimming pool on the first floor. 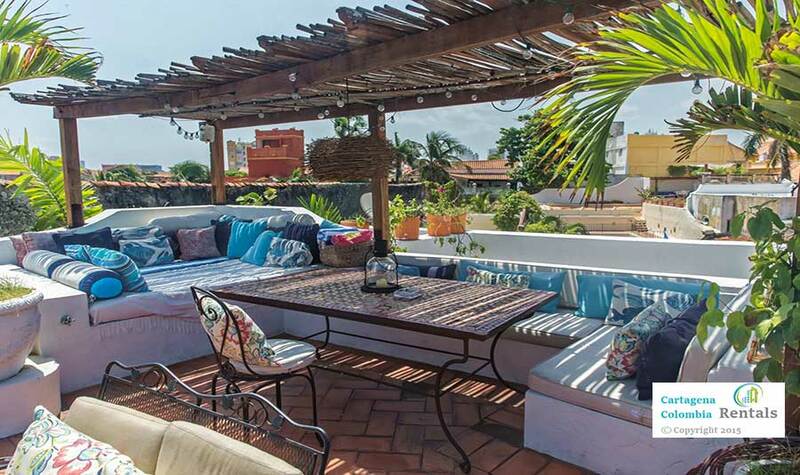 There is a smaller pool on the rooftop just to keep you refreshed from the hot weather while sipping a local drink or romancing under the stars. 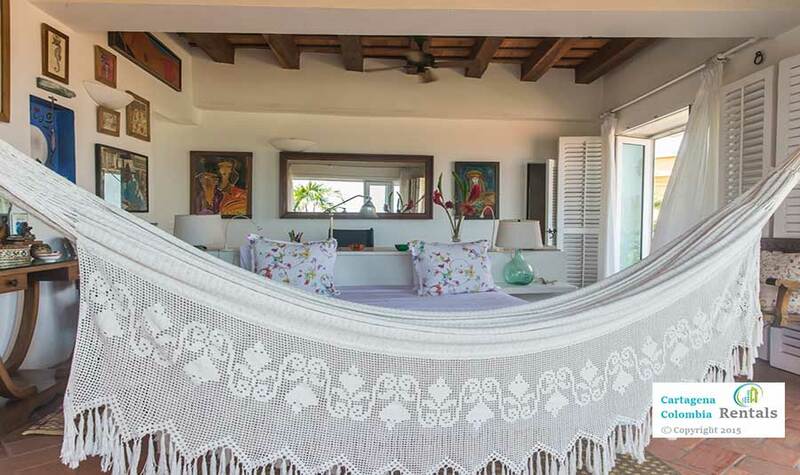 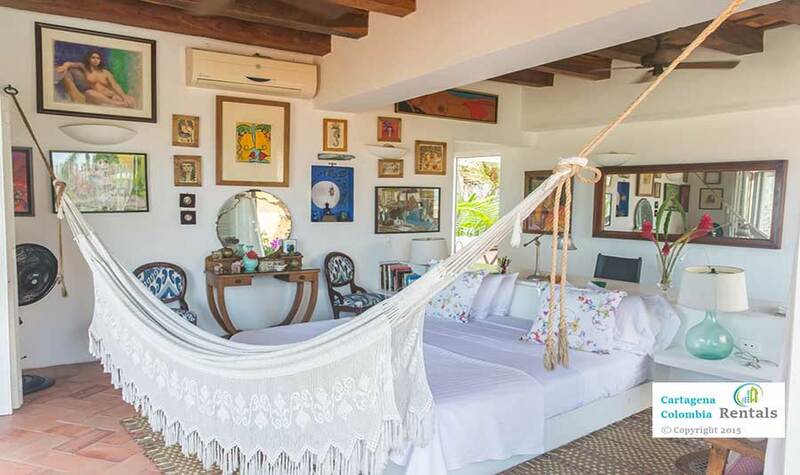 You will not complete your Colombian experience without taking a “Siesta” on one of the hammocks dotted all around Casa Brisa. 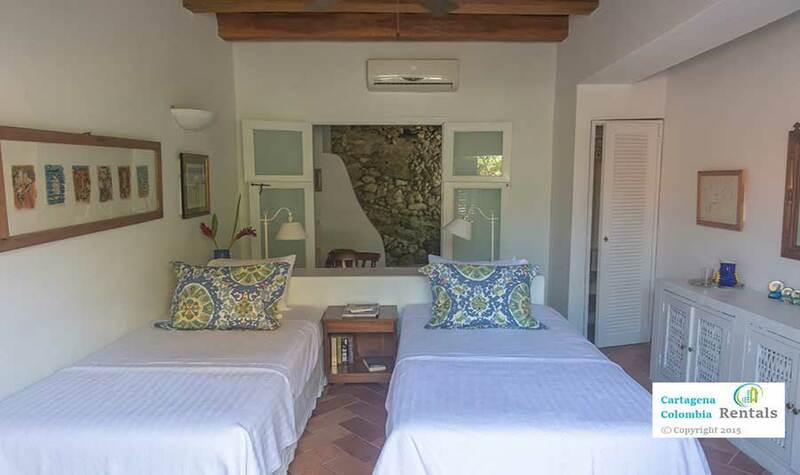 One of the many reasons you will feel absolutely “Spoiled” at Casa Brisa is the impeccable service from our staff of 4, including a talented cook. 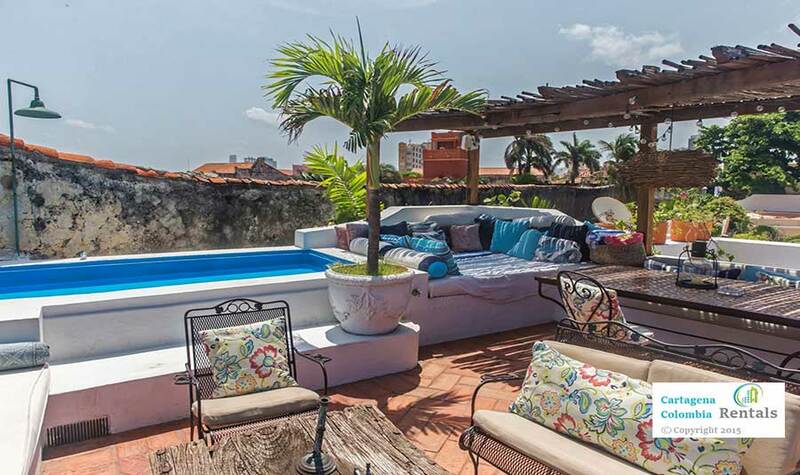 Refundable Security Deposit of $500.00 required for booking confirmation. 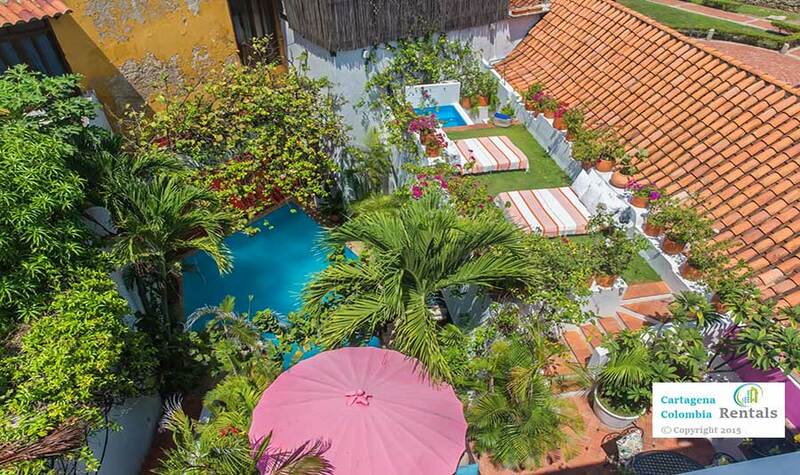 Daily maid service included in the rate at Casa Brisa. 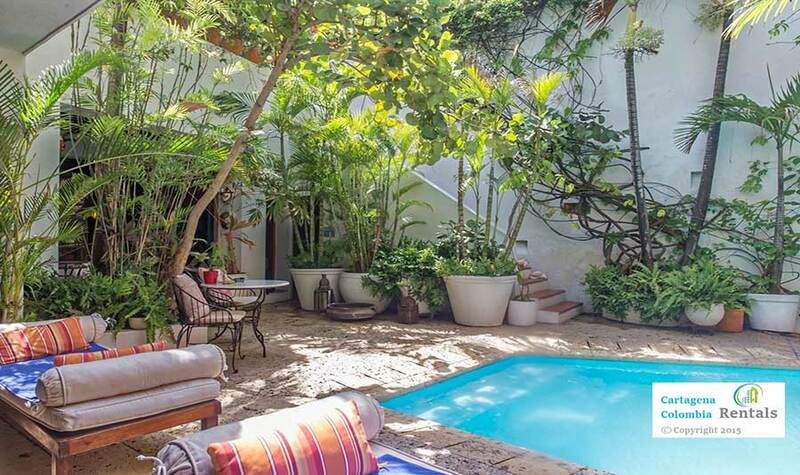 This house has a full-time cook, just keep in mind the actual food is not included.